The N-Fab Predator Pro is the off road side step you have been waiting for. This 100% extruded aluminum hoop step is powder coated and fully corrosion resistant. The material and coating in unison with a one piece fully welded design offer maximum durability. 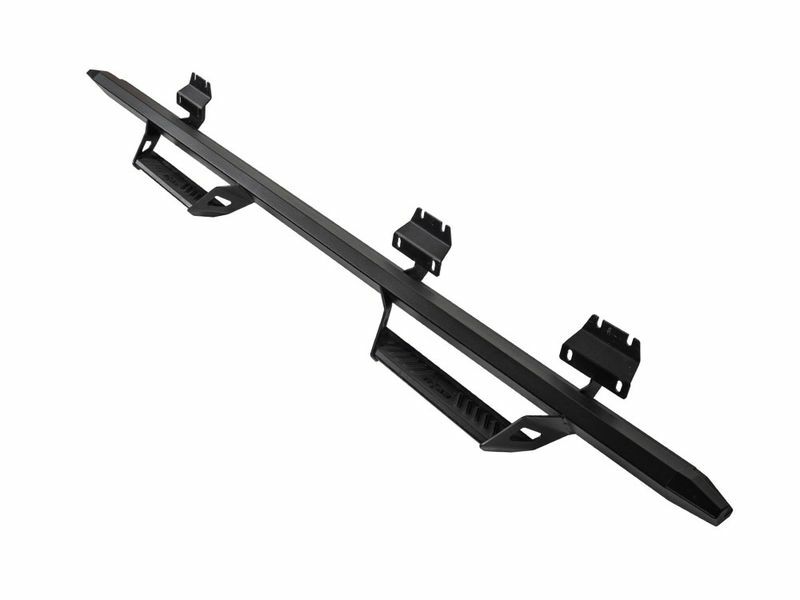 Every Predator Pro side step is manufactured specifically for the vehicle application it fits. This allows for fast easy installation and requires no drilling. The product comes with easy to understand vehicle specific installation instructions. Includes two steps and all hardware necessary for installation. N-Fab backs the predator pro with a five-year finish and limited lifetime workmanship warranty. With a guarantee like that, you can rest assured you are getting the best!